Nelson Storage and The Hale Company now offer delivery of roll-off dumpsters for residential renovations, commercial construction, home clean-outs, or whatever your trash removal needs. 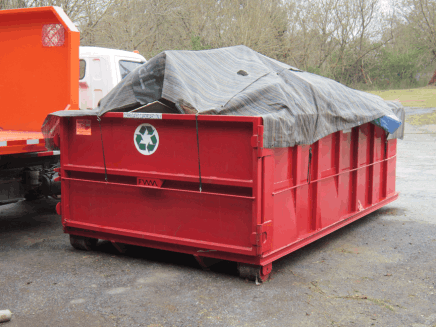 IDEAL FOR YOUR PROJECT - For all your waste removal needs, household projects, junk removal, attic or garage cleaning, we can deliver a container that will work for you. Great for renovations, construction, moving, or Spring cleaning. Don't put off that project any longer! EASY DEPLOY - Small 12-yard dumpsters can be deployed in more places, just requiring a solid surface to sit on. These dumpsters can usually hold approximately 2 tons of material. LOCALLY OWNED - Service is available throughout most of Nelson County, as well as Albemarle, Amherst, and Buckingham counties. Affordable residential dumpster rental is now available in central Virginia! Let us know what type of project this is for, the address or zip code, how soon and for how long you will need it.